THE EVIL RED EMPIRE – RED CHINA – BEIJING IS DOOMED : RED CHINA IS OBSESSED WITH A PASSIONATE DESIRE TO EXPAND HER INFLUENCE IN ENTIRE WORLD . 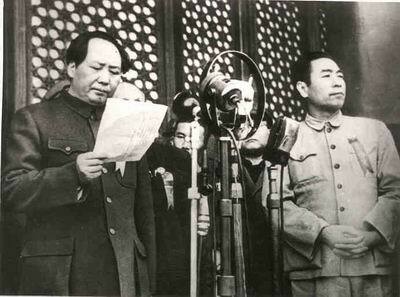 The birth of Red China was proclaimed by her Communist Party Chairman Mao Zedong on October 01, 1949. Mao Zedong was obsessed with a passionate desire to expand Red China’s political, economic, and military power and transform her into a global Superpower. His desire was formulated into Red China’s Expansionist Policy. THE EVIL RED EMPIRE – RED CHINA – BEIJING IS DOOMED : RED CHINA’S MISDIRECTED DESIRE IS THE CAUSE OF HER PROBLEMS . 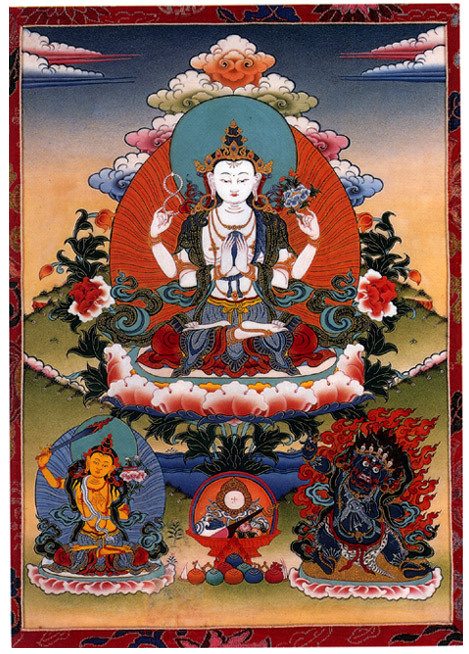 RED CHINA MAY HAVE TO FIND HER SALVATION BY SIMPLY SURRENDERING TO THE NOBLE EIGHTFOLD PATH AND SEEK MERCY, GRACE, AND COMPASSION, THE DELIVERANCE PROMISED BY BODHISATTVA – AVALOKITESVARA . Lord Gautama Buddha(c. 563 to c. 483 B.C.) known as Prince Siddhartha(“He who will accomplish”) is the founder of a religious doctrine called Buddhism. The word ‘BUDH’ in Sanskrit language refers to awakening or knowing. The term ‘BUDDHA’ describes ‘The Enlightened One’. Lord Gautama Buddha became Supreme Buddha during 528 B.C. when he preached his first sermon at Sarnath, India outlining his doctrine of Four Noble Truths, 1. Suffering (“DUKHA”) is implicit in human existence, 2. Suffering has a cause – the “Doctrine of Dependent Origination” – suffering is the result of one’s desires for pleasure, power, and continued existence, 3. Suffering can cease if desires are emptied from mind, and 4. Cessation of suffering can be brought about by the practice of the Noble Eightfold Path; 1. Right Views, 2. Right Intentions, 3. Right Speech, 4. Right Conduct, 5. Right Livelihood, 6. Right Effort, 7. Right Mindfulness, and 8. Right Concentration. This Doctrine leads or contributes a condition called ‘NIRVANA’, a divine state of release from misdirected desire. Red China’s Expansionist Policy represents her misdirected desire. People of China are already experiencing severe economic strain and grief as Red China continues to pursue her passionate desire to expand her territorial, economic, political, and military influence in pursuit of becoming the one and only power on Earth. Nothing can save Red China from an impending catastrophe, calamity, or disaster for she embraced wrong views with evil intentions and conducts herself with extreme wickedness. (Reuters) The Chinese People’s Liberation Army (PLA) Navy during a commemoration ceremony for Chinese soldiers killed during the First Sino-Japanese War, near Liugong island in Weihai, Shandong province, on August 27. In an effort to stoke nationalism and distract its people from a slowing economy, the Chinese government has been acting particularly aggressively in the South China Sea, engaging in territorial disputes with neighbors including Japan. This is one of the most dangerous games in the world. For over a year China has been diligently building islands on top of reefs in the South China Sea, reclaiming 2,000 acres of land. In April, satellite imagery showed that Chinese military had built an airstrip big enough for military aircraft. The government has been loud about it, too, declaring its right to reclaim the Spratly Islands, the land around the reefs, on historical grounds. The Global Post, a state tabloid owned by party publication The People’s Daily, wrote that any attempt by the US to stop China from building out parts of the South China Sea would inevitably end in war. This nationalist stance is no doubt a response to China’s slowing economy. Growth and China’s rise have always been tied to the modern Chinese identity. The government is asking its people to accept a “new normal” as growth slows, debt piles to almost 300% of gross domestic product, construction and property companies default, and credit dries up. But to maintain nationalistic fervor in the country, China has relied on the South China Sea issue. This did not sit well with China at all. “China’s construction in the South China Sea is within China’s sovereign rights, and its activities are lawful, reasonable, and justified,” Chinese Foreign Ministry spokeswoman Hua Chunying told Xinhua News after Carter made those comments at a conference in Singapore. Of course, particular countries may not feel that way — particularly US ally Japan. For several years at the World Economic Forum in Davos, Switzerland, world leaders have had no trouble pinpointing the greatest threat to global stability. It wasn’t Iraq or Islamic State militants. It wasn’t Iran. It was the disaster that could result from a conflict between China and Japan over the South China Sea. A conflict that could be sparked by careless action by either party. Now, to save face with its own people in the face of an economic slowdown, the Chinese government is being careless all over the place. Scholars, journalists, and politicians are all turning the area into an issue of historical pride, regardless of whether historical evidence for China’s claim exists. Beijing and China’s People’s Liberation Army (PLA) don’t seem to believe the Obama administration will do anything about it, either. It seems, according to Rogin, that the PLA equates American caution with weakness. (AP Photo/Kin Cheung) PLA Navy personnel on the deck of the missile frigate Yuncheng (571) after making a port call in Hong Kong. Indeed, white papers put out by the PLA over the past month indicate that while the government may pay lip service to peace, the actions that feed this conflict will continue at a steady clip. In other words, this is only going to escalate.